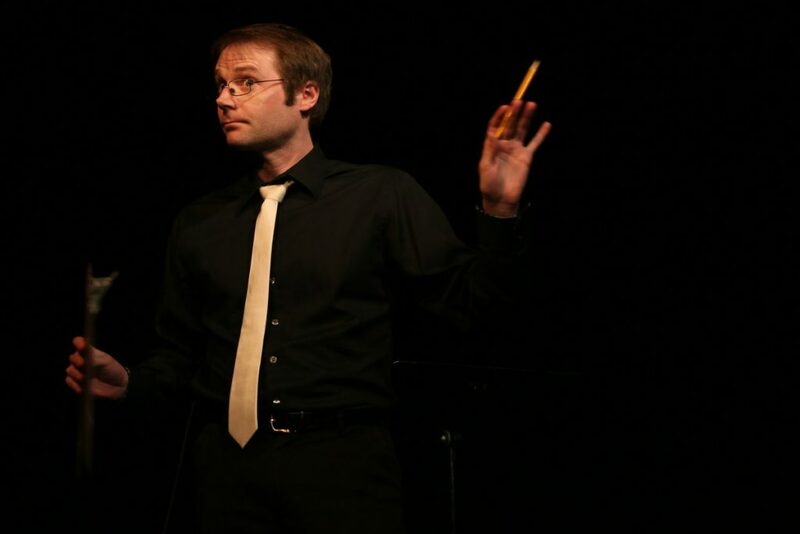 I hosted the April 1st edition of Spin the Bottle at Annex Theatre. 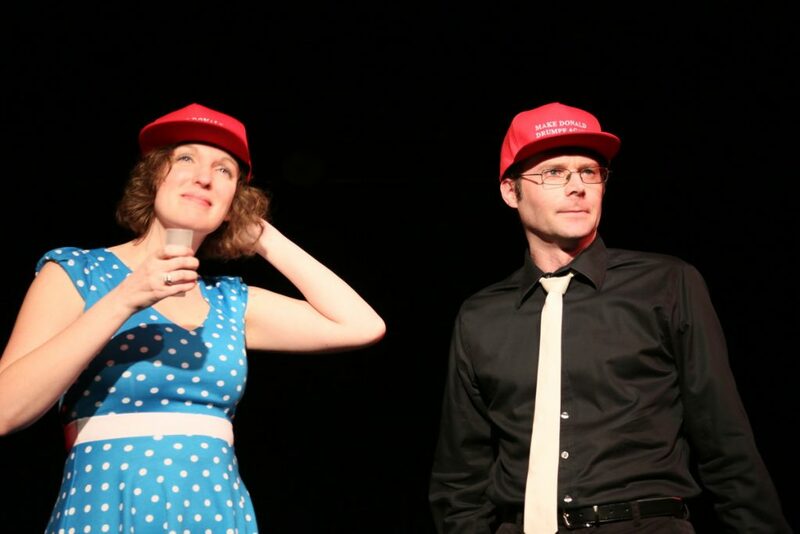 It was also Val Brunetto’s birthday, so we wore John Oliver’s “Make Donald Drumpf Again” hats. Tagged annex theatre, host, spin the bottle. Bookmark the permalink.